Microsoft recently relaunched its own on-demand service which was previously known as ‘Xbox Videos’. However, the online video store has seen some significant changes, in responding to other streaming services. Microsoft finally abandoned its Xbox exclusivity, and now you can stream your Xbox catalogue of features on a variety of devices. 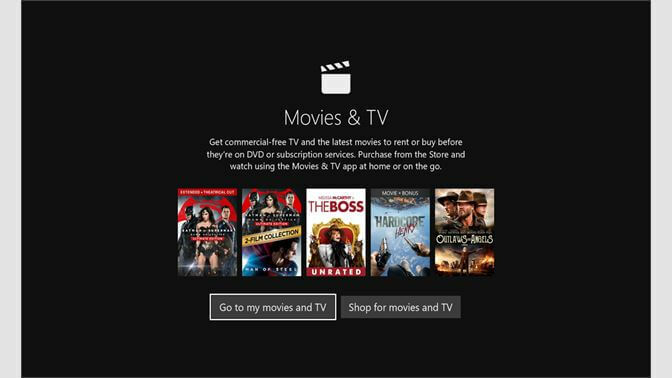 Microsoft Films & TV supports both renting and buying of video content. Once you pay for the content, you can download or stream to any supported device. Purchased features can be watched unlimited times, whenever you like. However, a rental will be expired after 14 days of payment. Once you hit the play button, your rental will expire within 24 hours. Microsoft has secured rights for over thousands of movies and TV shows spanning all over the spectrum. From horror to love stories, from thriller to sci-fi. Each genre has several blockbusters available to buy. Many of these titles will include bonus features like DVD or Blu-ray offering, Exclusive interview with cast and crew, directors’ commentary, and deleted scenes. Prices are pretty standard on Microsoft Films and TV. They vary from title to title, recent films will be charged higher, and you will have to pay more if you want to watch in high definition (HD). The prices start to drop over time. TV shows have a similar pay scale, you can buy individual episodes for 2-3 dollars or the whole series for 20 – 50 dollars. However, TV shows can’t be rented. However, if you are sharp enough, you can catch regular sales at Microsoft Films & TV store, where you can find discounts excess of 30% to popular movies and TV shows. Sometimes, Microsoft also offers free movies for rental on weekends. Microsoft lets you download your purchases to supported devices through its own dedicated app, which you can watch offline wherever you want. This is perfect for people with slow internet or travellers wanting to pass the time. Your purchases can be downloaded to five separated supported devices. However, rentals can only be watched on the device it was rented for. This is Microsoft in-house currency. You can earn them by completing task likes filling our surveys, pre-ordering upcoming titles and purchases optional content in free-to-play games. These credits will be accredited to your Microsoft account which you can use to buy movies and TV series. Aside from an internet connection and a Microsoft account, the official Films & TV app will only run on Windows 10 PC, an Xbox one or 360 console. Windows phone and Windows 8 can access their library through the Xbox video app. Older operating system and other devices are not compatible with the app yet. You can play your features with the latest web browser outside of the Films and TV app. How much data does Microsoft Films & TV Use? Microsoft hasn’t specified how much data will be consumed. However, using other streaming services as a reference, you can expect the service to consume 1GB of data per hour for SD stream and around 1.5 – 3GB per hour for HD stream. While downloading, this figure might just be a bit high. TagsMicrosoft Films & TVsupported device. Previous article How Do I Set Up a New Chromecast on My TV? Next article Why Chile should be Your Next Vacation Destination?